Car camping and “overlanding” is all the rage these days. From city-dwelling millennial to middle aged folk who just want to get away, packing the car, truck or SUV full of food and supplies for a weekend and driving out into the wilderness is getting more and more popular. Not to mention the rising popularity of things like renovated retro campers and mini RVs and houses, as well. This fad probably explains why this 1990 Chevrolet Suburban custom camper is currently listed for a rather pricy $45,000 on Facebook marketplace. 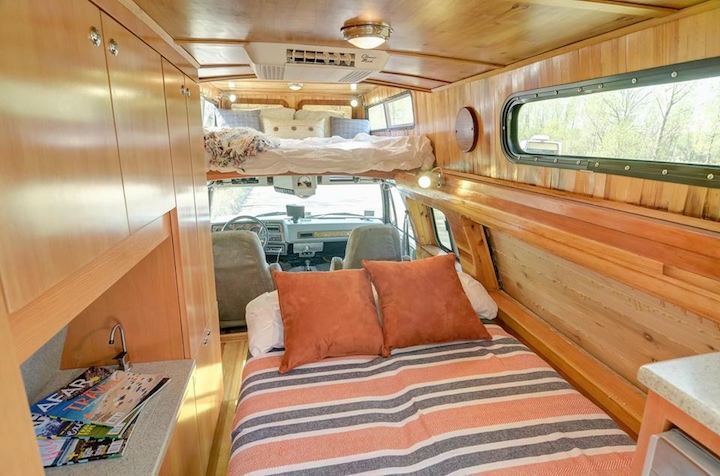 This is on seriously nice camper conversion, complete with a completely redone interior (which is nicer than many folk’s houses), a modern-day powertrain and Bilstein 5100 Shocks with a 4-inch lift, but bargain hunters might want to look elsewhere. That said, you couldn’t build this camper yourself for that price. The seller has sunk more than $120,000 into this project and it’s clear that no expense was spared. Not only is the interior rather well executed with nice custom made cabinets and sleeping for two adults and two children, it also has a 6.0-liter LS V8 engine from 2004 and a 4L80E transmission. Other amenities of this all-in-one camper include two electric roof fans, a roof-mounted heating and A/C unit, a microwave, a 12V fridge, 15 gallon aluminum water tank, a water pump, a kitchen faucet and an outdoor shower. This truck is “ready to go camping, hunting, ice fishing or whatever other adventure,” according to the listing. 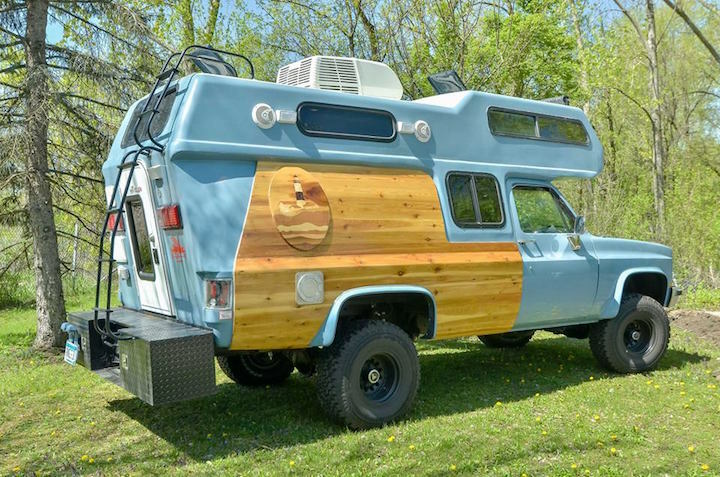 Summer may feel far away, but it’s coming fast, and this seemingly well built camper would be the perfect adventure vehicle for enjoying the warmer months. Check out the listing for this 1990 Chevrolet Suburban custom camper on Facebook marketplace at this link for more information and photos.